Looking for a new career? LinkedIn thinks you don't need to look any further than the success stories of its members for motivation. 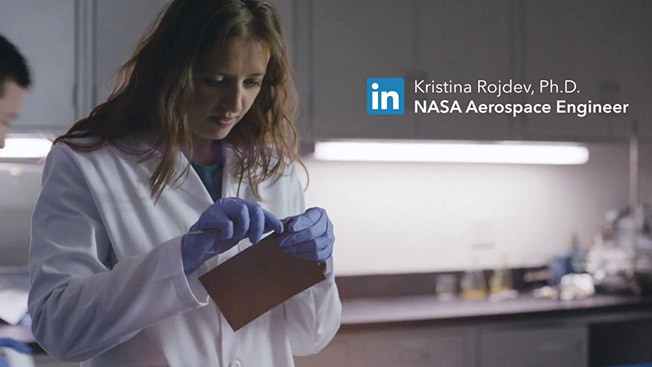 The company's latest digital campaign, Picture Yourself, focuses on telling the career tales of select people, including One Kings Lane chief merchandising officer Susan Feldman and NASA aerospace engineer Kiristina Rojdev. But, it also allows people to share their own personal stories, pushing the message that company is more than an online social network for professionals but a publishing platform to tout your accomplishments as well. "Our member base has an amazing amount of professional knowledge," Sarah Acton, director of brand marketing at LinkedIn, said to Adweek. "As a professional, you have a very unique and sought after skill set, and you want to be publishing and sharing the work you’ve done." The campaign will be spread on LinkedIn platforms and other publishing sites like BuzzFeed and YouTube. The network is also buying ads through the Sharethrough network.